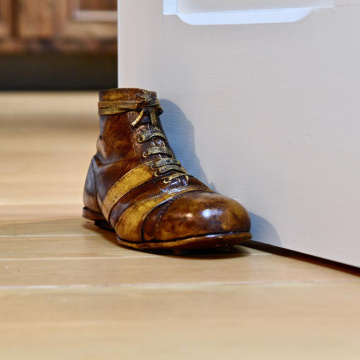 This piece of sporting memorabilia is a great doorstop and is cast off a classic football boot.We have three styles of our classic sporting boot doorstopsFootballCricketGolfAll are individually handpainted and made from cold cast resin. .. 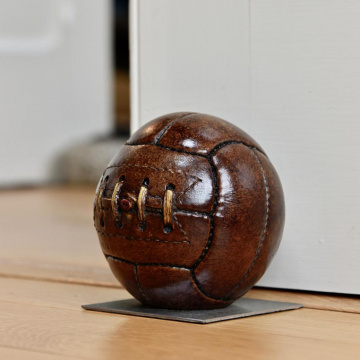 This piece of sporting memorabilia makes a beautiful doorstop.Where the modern meets the old.The base is sleek steel and our beautifully hand crafted antique footballis created by our craftsmen from individually painted cold cast resin.The leather looks so lifelike you have to touch it to realise that it isn't! 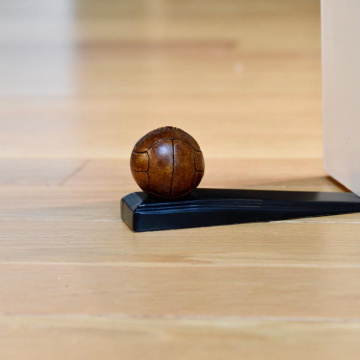 ..
Football has so many followers that this neat football door wedge will be the answer to many present searches. 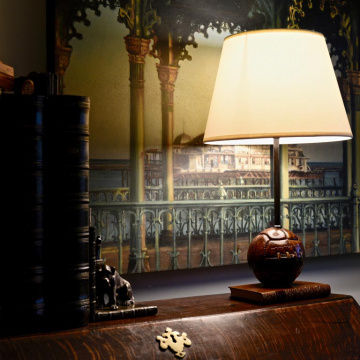 Modelled on the leather footballs of the early years of the game it is a reminder of the long history of football in the sporting world. ..